The degree of momentum and excitement which is now driving the IGC places much expectation upon us to deliver real change across our organisations. Co-chaired by the Permanent Representative of the United Kingdom of Great Britain and Northern Ireland, Julian Braithwaite, and the former Deputy Executive Director of the Joint United Nations Programme on HIV/AIDS, Jan Beagle, the Change Management Impact Group worked to overcome barriers to gender equality in the workplace through training on gender-responsive change management. At an all-day seminar, entitled “Nudge the unconscious mind: towards gender-responsive management”, 50 participants from 30 organizations sought to identify and overcome the institutional obstacles that prevent women’s influence and advancement in institutional settings. A follow-up event, “Unlock for change”, was held in July 2017. 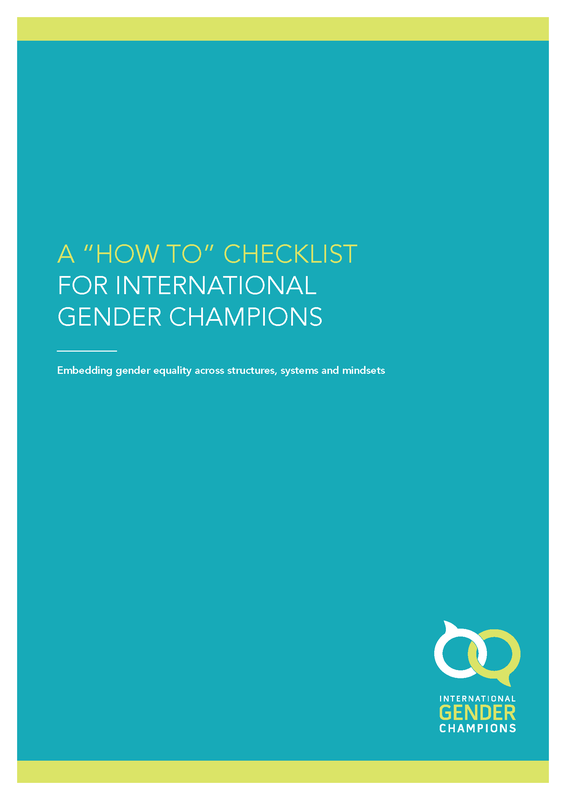 In November 2017, the impact group published A “How To” Checklist for International Gender Champions, including tips on what Champions can do as individuals and the top five things organizations can do, with practical steps that Champions can take in recruitment, staff development and performance management to ensure that gender equality is embedded in their organizations. The “How to” note sets out some easy (and some not so easy) wins to make our gender equality commitments a reality. Ideas, such as making flexible working the norm, have fundamentally changed the work environment of some of our organizations. We hope that many of the ideas in the check-list will be similarly game changers for gender parity and women’s empowerment. Gender-Based Analysis Plus (GBA+) is an analytical tool used to assess how different genders may experience policies, programs, and initiatives.